Muammar Gaddafi was a stabilizing force in Libya and the civil war there is continuing causing deaths and suffering for people because the masterminds of his removal from power had no plan on what to do after his death, experts say. What we’re seeing now is the Arabic Spring has turned into an ‘Arabic Winter’, because there was no Plan B on what to do after Gaddafi, and we have a civil war in Libya now. That is one of the problems, or the biggest problem. 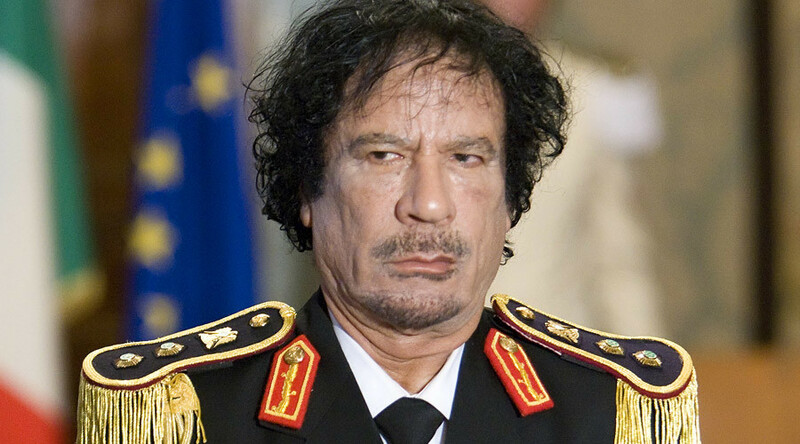 October 20 marks five years since the killing of Libyan leader Muammar Gaddafi in 2011. The civil war in Libya is continuing as rival Islamist groups engage in bitter fighting with the internationally-recognized government for control. RT asked experts what were the causes of the Arab Spring in Libya and eventual civil war. “Libya is just another one of those countries with too much interference from outside sources. In my opinion Gaddafi should have remained in power, because he was some kind of a stabilizing force. The problem today is we have these diplomats that don’t understand world affairs – they’re really not good at it. That is in many different countries. That was one of the biggest problems in Benghazi, as our State Department is getting involved in things they should not have been involved in,” retired US Army General Paul Vallely said. “It was Obama and the State Department that created the weapon sale over there, basically arming the Muslim Brotherhood, backed Al-Qaeda radical Islamic elements over there – that created the problem in the first place,” Vallely said. Those who masterminded the overthrow of Gaddafi could have prevented the current chaos in Libya had they thought of a plan for after the Libyan leader’s removal, says European Parliament member Georg Mayer. RT: Libya's been through a very rough patch since its leader was killed in 2011. In your opinion, will we see the situation in the country improve any time soon? Georg Mayer:… Gaddafi was a dictator and the people had to suffer under his power. That is quite clear for us. The other thing is, like Obama said, the Plan B was missing. There was Arabic Spring starting and what we’re seeing now is that the Arabic Spring - sad enough turned - into Arabic Winter. Because of a missing Plan B – meaning not to know what to do after Gaddafi, we have the civil war here now. That is one of the problems, or the biggest problems. RT: People in Libya are in a worse state now, aren’t they? GM:.. What we see and what we saw in the past is that a lot of people died in the civil war; a lot of people suffer under the civil war; a lot of people suffer under ISIS; and they of course are searching for ways out of the warzone. And that is what we see in Europe – people are coming or want to come to Europe to get a safer place. RT: As it often happens when the government is overthrown, various terrorist groups and military factions come to the country creating a power vacuum. The powers that masterminded the current situation in Libya could have seen this coming, couldn’t they? GM: Of course they could have seen this coming. I think we even said that at that time that you have to have the Plan B, because otherwise it is chaos and that is what it is at the moment… people suffer and people die there. RT: So are you appalled by the way it was carried out and handled generally? GM: Yes, I think that’s it. You had Obama before who said the same more or less. He said that they didn’t plan anything for the period after Gaddafi. You have the vacuum there, you have the people fighting in between; you have the problem with oil, because everybody wants to get to that resource. That is the situation.